Appropriate and safe key management is very critical to the secure use of information cryptographic applications without exception. In enterprise practice, the most challenging aspects of key management being key generation, protection, use policy control, validation, revocation and deletion, in a word, key life-cycle management. Bloombase KeyCastle is a total solution for full life-cycle management of private signature keys, public signature verification keys, authentication keys, data encryption keys, and certificate authority certificates, etc. Bloombase KeyCastle is built in with key generation, import, secure storage as well as various key verification and validation capabilities to assure authenticity and validity of a a key. 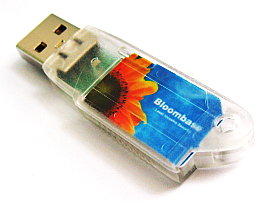 As a matter of security, a key managed by Bloombase KeyCastle, once generated or imported, is securely stored and locked down on to the Bloombase KeyCastle where it resides. There is no technical way to retrieve the plain contents of Bloombase KeyCastle contents, thus Bloombase KeyCastle is a secure vault for encryption keys and true privacy and tamper-resistance assured. Bloombase KeyCastle brings state-of-the-art and industry-proven cryptographic services together with secure encryption key management as a data security platform for enterprises. Bloombase KeyCastle supports tamper-proof and tamper-resistant NIST FIPS 140-2 hardware security modules and PKCS#11 hardware cryptographic accelerators to achieve maximum information privacy for the gigabit wirespeed data communications.